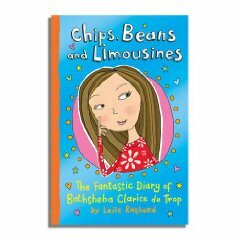 Back in the days when Split by a Kiss had just been released and I was a (*cough*) fresh-ish-faced debut author, a book site called WriteAway asked me and fellow author Leila Rasheed (Chips, Beans and Limousines: The Fantastic Diary of Bathsheba Clarice De Trop!) to interview each other via a long, involved and fun Skype chat. Read the full interview at Just Imagine. You can also read the interview from Leila Rasheed’s side. Check out Leila Rasheed’s site.